Calling the Cristo Rey model “the coolest thing,” Gov. 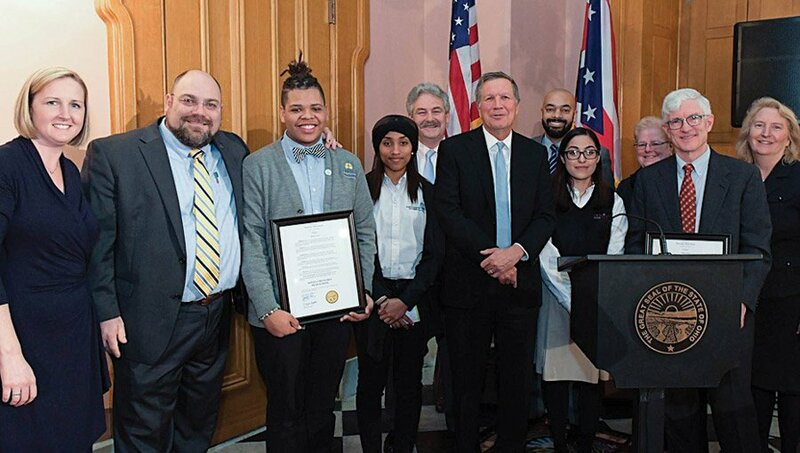 John Kasich honored DePaul Cristo Rey High School and two other Cristo Rey schools with the Governor’s School Innovation Award. 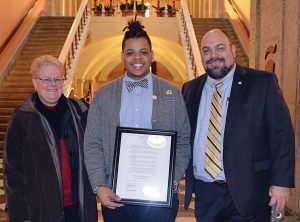 DPCR, Cristo Rey Columbus and St. Martin de Porres (Cristo Rey Cleveland) were among the seven schools recognized in the ceremony at the Ohio Statehouse. 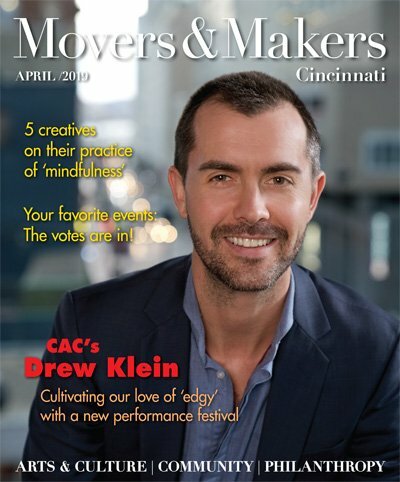 DPCR was the only Cincinnati-area school recognized. Saying he hopes these schools inspire “education envy” across the state, Kasich lauded the Cristo Rey urban education model of college-prep academics and corporate work-study. At the ceremony, a student from each Cristo Rey school helped explain the Cristo Rey model. “Our school is in its sixth year of operation, and all three of our first graduating classes, including mine, have achieved 100 percent college acceptance,” said DPCR senior Joseph Whittle. “I have applied and been accepted to 15 universities. I will be the first in my family to go to college.